It doesn't take much to realize it's time for the Milan Men's Fashion Week: it's enough to get into a subway car and you'll find them there. And while models move from one casting to the next, summer in Milan always begins with one of the most important fashion kermises of the year. 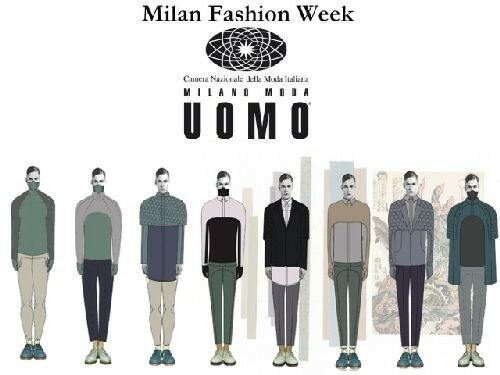 After the traditional edition of Pitti Image Man which will be held in Florence from June 19 to 22nd, the fashion system moves to Milan where audiences can see all the brand new articles for spring-summer 2013 strut the catwalk. Quite obviously, all of the most famous Italian brands will be there, from Armani to Versace, from Ermanno Scervino to Dolce & Gabbana, from Prada to Gucci. And if fashion shows aren't meant for everyone, fashion itself is: so if you are in the area, take advantage of this opportunity: shopping in the so-called Golden Quadrilateral is a must! Start your stroll in Via Montenapoleone and walk down Via della Spiga, Via Sant'Andrea, Via Santo Spirito, Via Borgospesso, and don't forget Via Verri, for a quick stop and go at the Burberry store. What clothing articles should every man's wardrobe have? A dark suit, an Oxford shirt and for the next autumn/winter season, a Borsalino hat. Yes indeed, because when you name Borsalino you are speaking of elegance. And if visiting the Boutique Borsalino in Galleria Vittorio Emanuele II to buy your favorite model is not enough (you'll also find the store in Corso Venezia 21), you can always make a trip to the Borsalino Hat Museum in Alessandria. Opened in 2006, it retraces the entire history of the Borsalino hat, of the factory and its relations with the city. The peculiar thing about the Museum in Via Cavour 84, just a few steps away from the city's center, is that it is hosted in the old "Sala Campioni" of the Borsalino Palace, which in the 20's was used to catalogue and exhibit the prototypes, models, and color samples created by Borsalino. You can see as many as 2,000 different hats displayed in the historical cabinets in Chippendale style: a real full immersion in the history of Borsalino, from the proliferation of hatters to the evolution of the hat industry from the 1800's to our present day, but also the factory's development, the patronage and the historical women workers, known as the "borsaline".